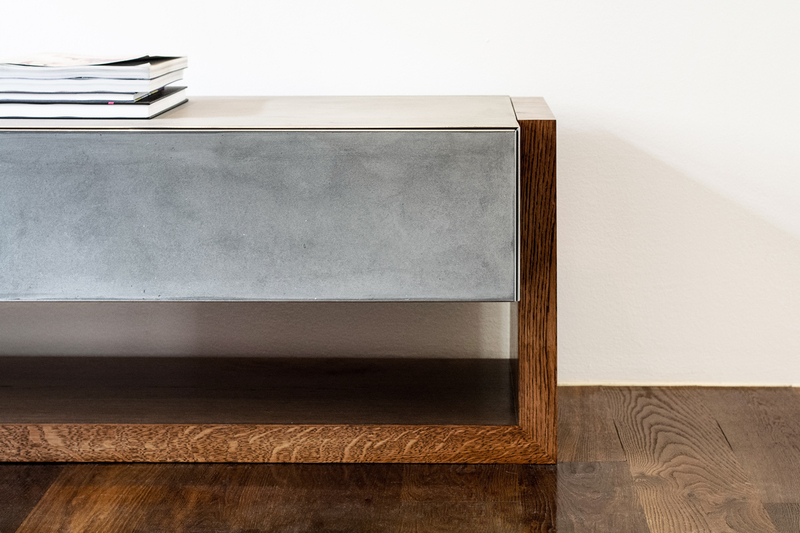 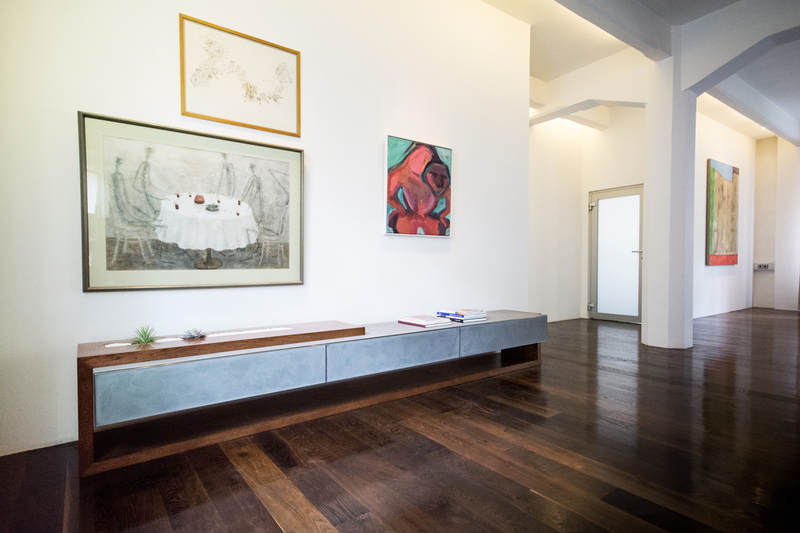 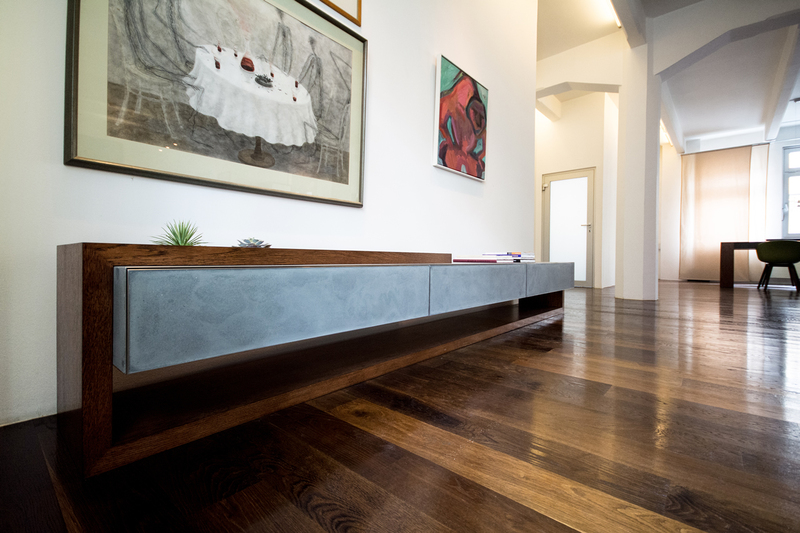 The elegant look of the credenza di Alfonso design is based on the idea of a floating concrete beam, touched by natural wood. 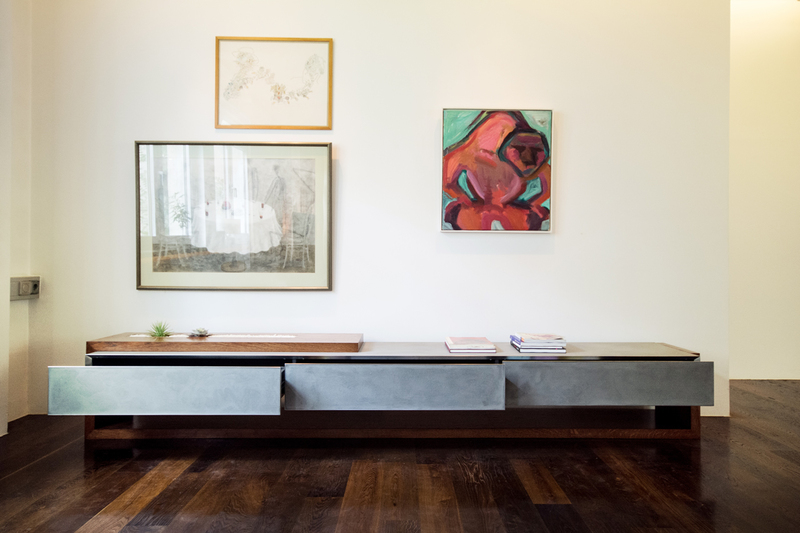 The sideboard front is divided into 3 equal drawers. 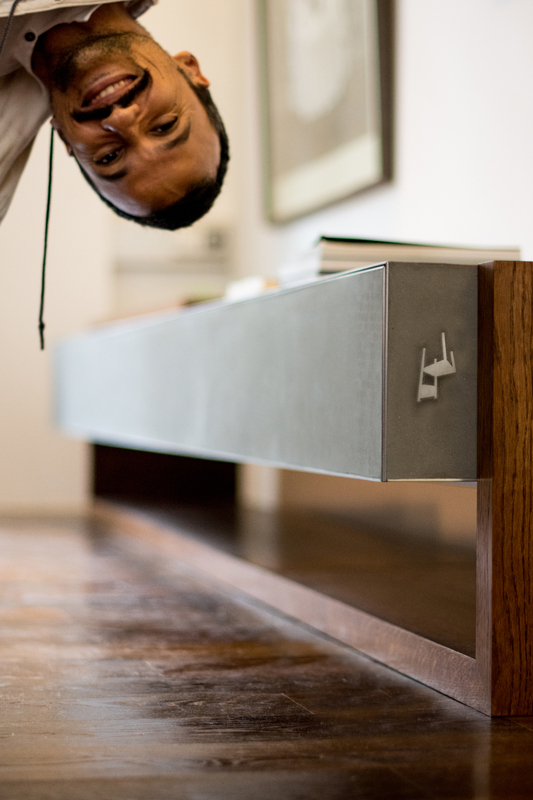 The left one is lockable for a safe storage use. 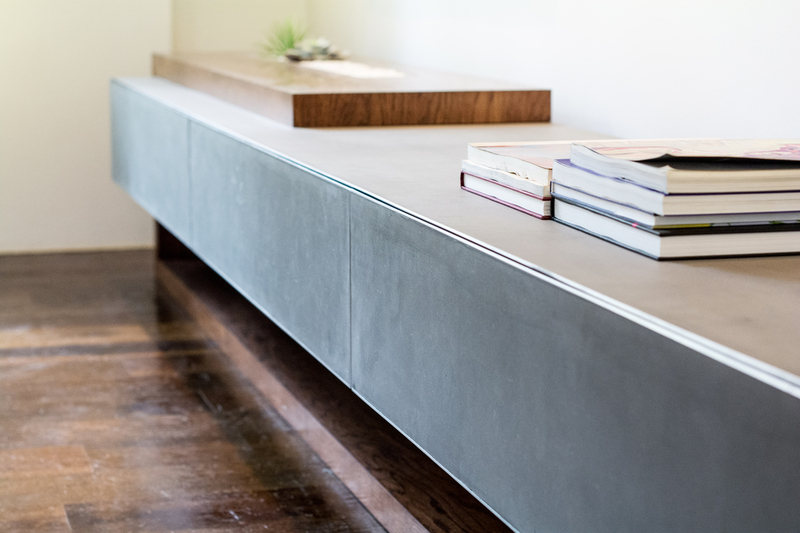 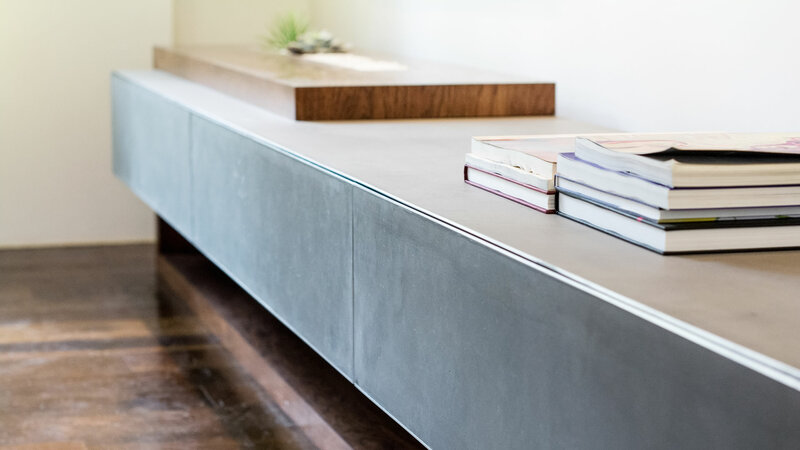 All concrete edges are covered by stainless stell to protect the 45° concrete miter. 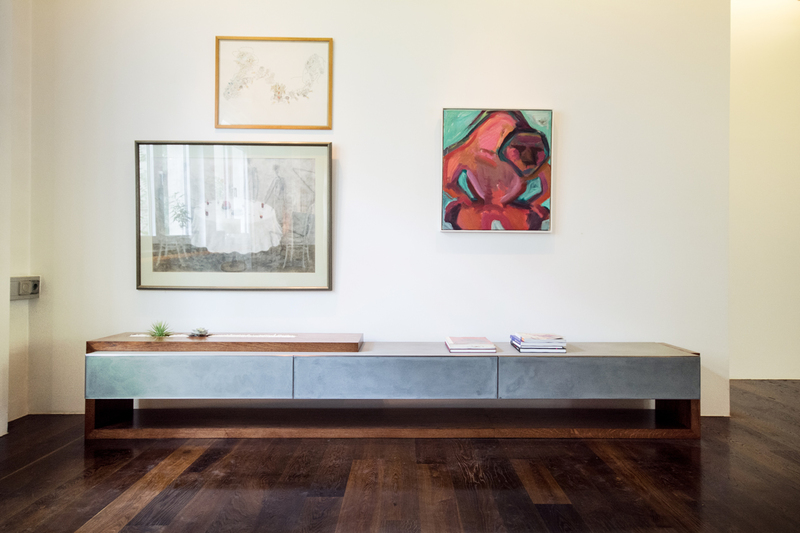 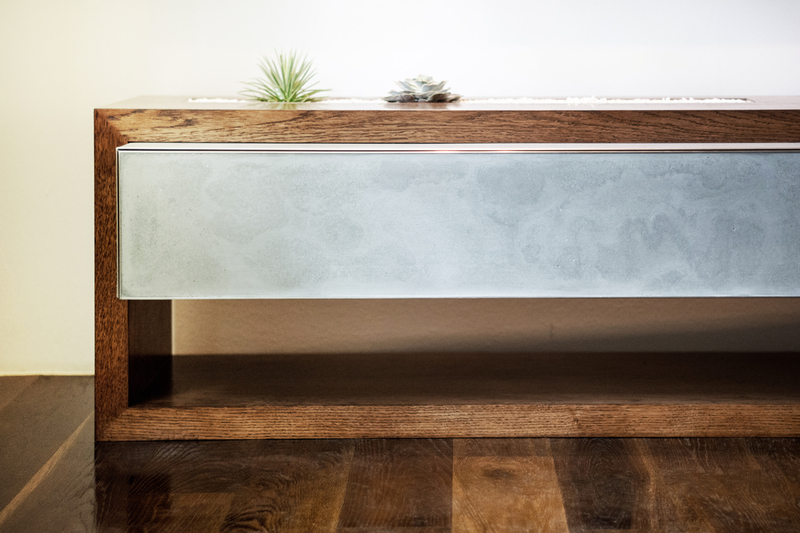 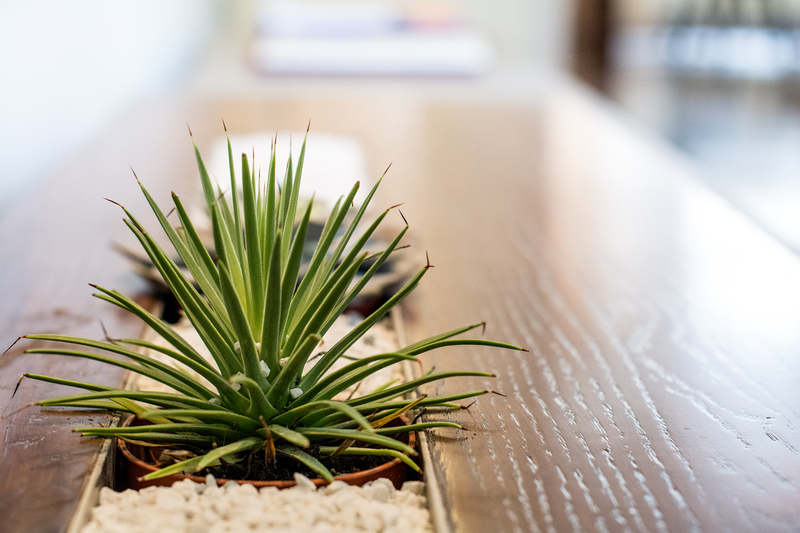 On the top of the credenza is a tube of stainless steel for additional storage, plants and decoration.